At Southern States Group, we take care of everyone’s needs. Produced by Anteo, the latest smart cantilever caters to small and medium size businesses with a wide range of vans. With the new F3 V050 F/F3 V075 F loading and offloading (max capacity 500kg or 750kg) has never been easier. For the first time presented to the Australian market during the 2017 Brisbane Truck Show, this cantilever comes with innovative technology for vans carrying mixed weight loads. 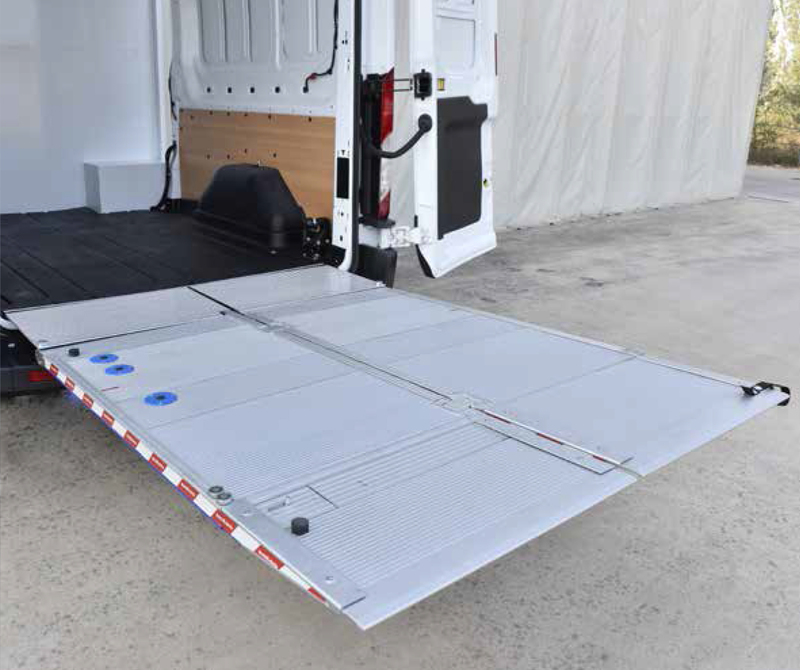 While in operation, the lift utilizes the full van’s width. Otherwise, the folded lift takes up only one side of the double door, leaving the other easily accessible at any time. Unlike the previous model, F3 V050 F/ F3 V075 F enables a tow kit installation. F3 V050 F/F3 V075 F can be installed without modifications to the host vehicle. Installation is made quick and easy with individual mounting brackets for most vans. The total weight for 500kg capacity is 177kg and 189kg for 750kg capacity. Both models are 1.6 metres long and 1.4 metres wide. F3 V050 F/F3 V075 F is especially designed for Citroen New Jumper/Relay, Fiat Ducato, Ford Transit, Iveco Daily, Mercedes Sprinter, Peugot Boxer, Renault Master, Renault Traffic, Volkswagen Crafter, Volkswagen Transporter. Call our sales team at 03 8689 7136 to find out more on the F3 V050 F/F3 V075 Fcantilever.